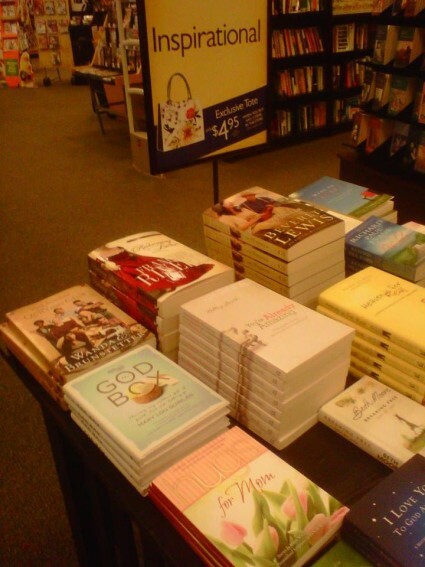 A Mother’s Prayer and a Daughter’s Dream: The God Box just made the New York Times bestsellers list! I am so excited to share this incredible news. The New York Times just named “The God Box” to their bestseller list. This is a huge thrill for me and I can only think of Mom who was the reason for the story and more than that, the reason I believed I could write. Even though I can hear her now saying, “I knew this would happen,” I have to admit, I am over the moon with joy, gratitude and that feeling that comes with doing what you love. Thanks so much to all my friends and family who were behind me every step of the way. This is your story, your success too. Marketers (and men) find themselves constantly asking “what do women want?” A question that is impossible to give a simple answer to, as women as a whole never all want the same thing. “All mom’s are not the same, all women are not the same,” Tracy said. This makes advertising to women today difficult and challenging. On December 6th, last Tuesday, Tracy Chapman was a panelist for New York Women in Communications, Inc (NYWICI) event, “What Women Want: Strategies for Reaching the Female Market.” The panel of marketing experts was moderated by Lesley Jane Seymour, the Editor-In-Chief of More Magazine, who aimed to uncover what the best approach in understanding the thoughts, motives and triggers of a targeted female audience. Tracy explained that as a marketer or advertiser it is easy to get caught up in the half-truths that women tell, but it in order to succeed in reaching the target female audience the whole-truth must be uncovered. “Women have and project the best intentions;” however, often times what women say and do are very different. If the whole truth behind these intentions are uncovered, it is much easier to reach the intended female audience. Tracy provided the attendees with insightful information that helped to make the event a great success! You know how we feel about the commercials for Dr.Pepper Ten (Don’t remember? Then click here), and their particularly subtle “Not for Women” tagline, but how about their larger campaign, including their Facebook page? 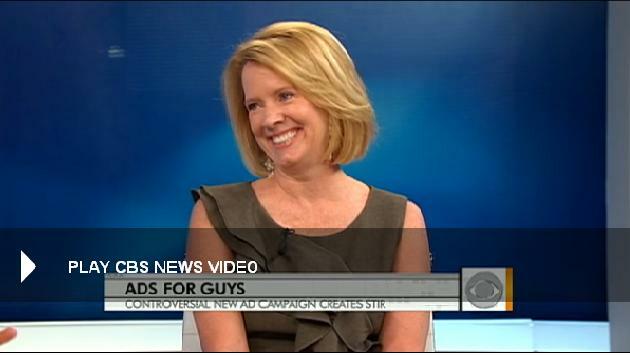 Mary Lou Quinlan appeared on the CBS Early Show this morning to lend her insight to the latest ad campaign making internet waves. Steve Jobs will be praised as a beloved man who was an entrepreneur, a visionary and a marketing genius who revolutionized the way we communicate and connect. But I want to salute him for his innate understanding of women–their affinity for design, for ease, for enhancing life’s experiences. Back in the early 70s when Steve invented apple, through to the present day, the technology industry has been highly male-driven, even with the bright lights of Sheryl Sandberg at facebook and Marissa Mayer at google. The mentality of bells and whistles, the macho ‘mine’s cooler than yours’ bravado of Silicon Valley led to products that were functional but not exceptional. Steve’s innate and intuitive grasp of the beautiful as well as the brilliant, his recognition of how technology can go beyond “gee whiz” to actually enhancing life moved computing from a task to a treat, from dreary to delicious. Without ever saying, ‘Women will love this!’ or even thinking pink, Jobs recognized that devices could be lovely to hold, intutive to use, easy to love. I only hope that his sensibility, almost feminine in nature, will continue as apple’s legacy: generations of products that appeal to the humanity in all of us. NYWICI’s tribute to Jobs includes thoughts from Linda Kaplan Thaler, Dorothy Crenshaw, Patrice Tanaka, and and Cathy Carlozzi. The entire tribute is available on NYWICI’s blog, Aloud. CLICK HERE. In the wake of Steve Jobs’ untimely death, both media and marketers are scrambling to decode how one man and his company changed the way the world uses entertainment technology. And when looking for insight into a brand’s influence on our lives, who better to ask than Just Ask a Woman? Making people feel like it cares is exactly why Apple is Apple, says Jen Drexler, a brand analyst at Just Ask a Woman. Jen Drexler: You joined it. It’s like enrolling in college and wearing the sweatshirt. You joined this brand the second you became hooked on one of the products. Part of it is the cool factor. Drexler says instead of focusing on selling to businesses and targeting the cubicle culture, Mac aimed its products at musicians, filmmakers and visual artists. Drexler: And then everyone else who has one can feel a little bit of that too. I can tell you I’ve never done anything creative with mine ever, but I would like to believe people think I do.